So I was playing around on the internet (I'll explain later... maybe in a third blog entry for today?) 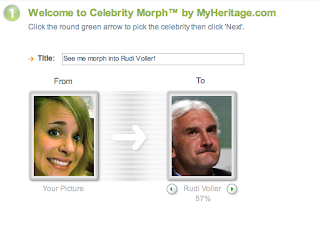 and I came upon a site that uses state-of-the-art technology to match your face to the celebrity you most resemble. It made me realize how amazing it is that we don't have a cure for cancer yet and also that I must have an invisible mustache. Okay... I thought. At least the computer thinks I'm hot! Well... at least it thinks I am 70% hot. 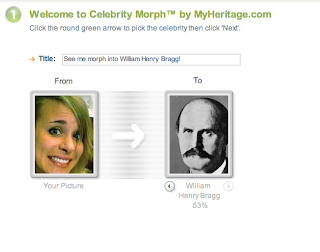 I decided that I'd check out who else the computer thought I looked like. This is about where I started needing a hug. What am I going to do with my life?? 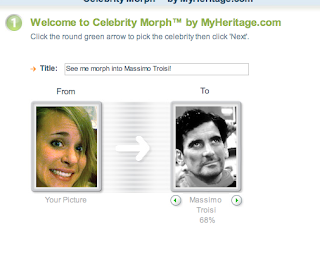 I'm reading: Apparently I Look Like an Aging Mustachioed Man... And I Shouldn't Ever Go on The Internet AgainTweet this! I've done this little exercise before with some amusing results... I'll have to post one myself with a newer picture to see what the results would be... I wasn't too impressed with my previous results - so I understand the needing a hug remark. Kidding, kidding. I got some weird results when I did that thing, too. I can't remember what, but I remember thinking, "Wow, if I don't pluck my eyesbrows soon, they may very well end up looking like Burt Reynolds'." Look, just be glad that the thing thinks you look like Mr T. Everyone should take 50% Mr T as a compliment. I got Nick Carter and Madonna... I'm neither gay nor a girl. If it's any consolation, the picture at the very bottom of your blog reminds me a bit of Jessica Alba. I've used that website before!!! It does the same thing to everyone, honestly..I am a girl that wears glasses, and every one of my results was a man, but mostly because they had the same style of glasses I do. So it's not you, it's them! Hey, if it weren't for Bragg, we wouldn't know how to determine crystal structure using x-ray diffraction. That's a lot more important than it sounds. I think. What?~?~ I'd be scared to get near that tool. 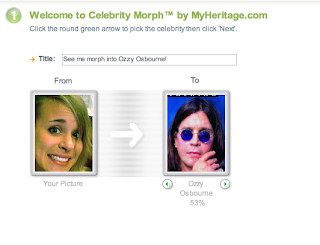 Memoirs of a Korean - at least Kim Jong Ill is hotter than Ozzy Osbourne! Kaloo - great point, Master Kaloo! Being part Mr. T is a good thing! NutellaonToast - that's a good point, but the computer wasn't matching me with people whose brains resemble mine... or maybe it was and that is where the problem started! I did one of those with a picture of my son and it morphed him into Shirly Temple. I'm not really sure how I feel about that one. Then I ran one with my face and it said that I looked 80% like Beyonce and Hallie Berry. Two gorgeouse women but I'm not sure how it came up with that since I am paler than Snow White. Michael Scott welcomes you to paper industry! At least the second Allie Vs. Whomever reminded me of such. Are you kidding me?! I've always wanted to be Mr. T and now you've beat me to it! Considering all my womanly facial hair, I'm just a little surprised I DON'T look like Mr. T. Shame. I'm so incredibly jealous. I think I'm going to go cry in a corner and pig out on ice cream. Oh my god. That is the most awesome thing I have ever seen in my life. I actually think that you look like Kaley Cuoco from Big Bang Theory. You both are very pretty. PS: You only look about 14.5% like Mr. T.
I think that anytime a random computer with some hinky software tells you that you look like Mr. T YOU WIN!